Masks are mandatory at this event. Join us for dance, revelry, mystery, and madness. Come early, don't be late! This party is set to begin when the clock tolls seven! 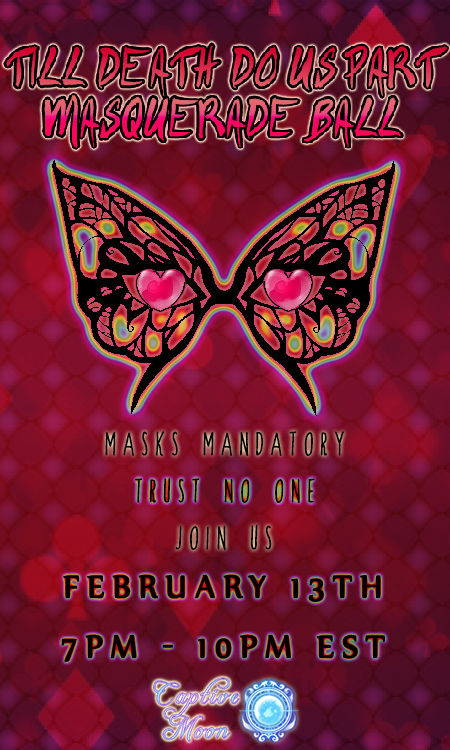 It's advised to come in formal attire, but so long as you wear a mask you're allowed in! Last edited by Dystopia on Mon Feb 11, 2019 6:44 pm, edited 1 time in total. Sorry for the sudden shift in schedule!